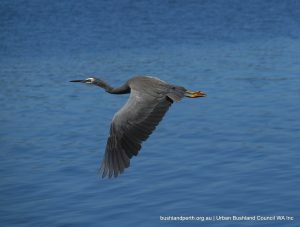 Kings Park and Botanic Garden is is located adjacent to the Swan River, just 1.5 km from the Central Business District of Perth, with a total area of 400 hectares. It is visited by over 6 million people each year. Within the Kings Park bushland, three major plant communities are supported – limestone heathland; Banksia woodland with B. attenuata (Slender Banksia), B. grandis (Bull Banksia), B. menziesii (Firewood Banksia) and B. prionotes (Acorn Banksia); and low moist areas with Banksia ilicifolia (Holly-leaved Banksia). 324 species of local native plants – or 15% of the native flora of the Perth region – are found in Kings Park. Kings Park is a Bush Forever site. Download the Bush Forever listing here. A number of ‘formal’ walks are described on the Kings Park website; two are featured here. Bush in the Heart of the City: Start this 25 minute walk at the Botanic Garden car park on Forrest Drive. 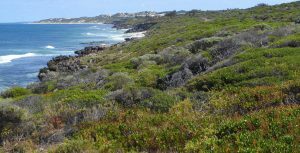 This walk offers an encounter with Western Australia’s famous wildflowers, trees and birdlife living in the wild as they have done for millions of years. If you are lucky you might see a bobtail lizard or some of the other bushland fauna. An open mia-mia structure marks the entry to this walk. 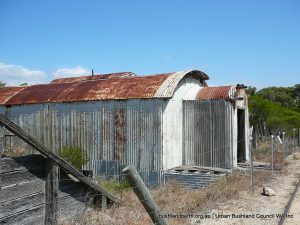 It draws upon the key architectural elements of the temporary shelters built by Nyoongar people and provides an opportunity to express this aspect of Aboriginal culture in a unique and interesting way. 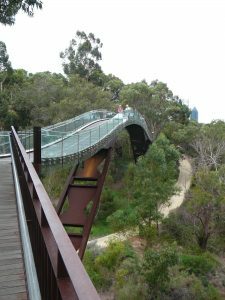 Law Walk is Kings Park’s premier urban bushland trail. 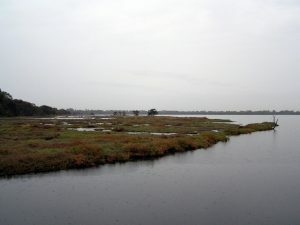 It is a 2.5 km loop walk in limestone heathland that takes approximately 45 minutes to complete. The terrain is a bit ‘up and down’, and requires reasonable fitness. The main path is hardened and is suitable for wheelchairs and prams. 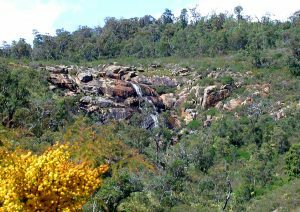 Named after Robert Oswald Law, Law Walk begins at the War Memorial and continues along the ridge of the limestone escarpment to Dryandra Lookout, where a loop walk returns visitors via the Lotterywest Federation Walkway. Law Walk offers spactacular views and takes you through an excellent tract of local flora. 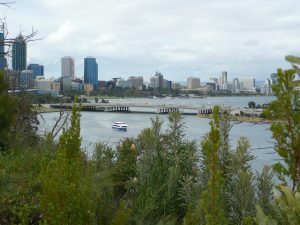 Kings Park is ‘crisscrossed’ by an extensive network of walk trails. These range in condition from sandy to varying degrees, to paved paths, and are supported by some internal signage. 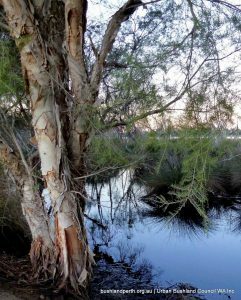 They provide visitors with outstanding ‘near city’ bush appreciation opportunities – The Kings Park Bush Forever listing notes the Park bushland as being 15% in excellent condition, with the remaining 85% as being in ‘very good to good’ condition. A map of the pathways, including information regarding path surfaces is available here. The material presented on the page is sourced from the Western Australian Botanic Gardens and Parks Authority.